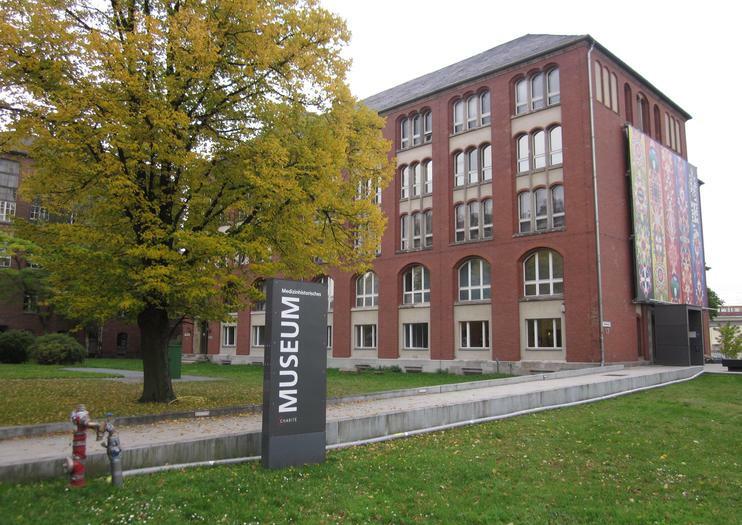 The Berlin Museum of Medical History (Medizinhistorisches Museum) is part of the Charité–Universitätsmedizin Berlin, located in the former museum building of the Pathological Institute. In the permanent exhibition "On the Trace of Life," visitors can explore medical history over the past 300 years. The exhibit shows how the view of and into the body has continually changed throughout history, ending with the patient as the recipient of medicine and the possibilities that exist in today's medical world. Another central part of the museum is the specimen hall, which dates back to the collecting activities of Rudolf Virchow. Around 750 pathological-anatomical wet and dry preparations are on display here. The museum also features temporary exhibitions that focus on different aspects of current medicine and medical history. Throughout the museum, visitors can view medical instruments, valuable books and microscopes, and hundreds of rare samples. Visitors are invited to explore the anatomical theater, the dissecting room of the pathologist and laboratories of medical research.